Proxyclick’s Settings are a bit like the Control Center of your Visitor Management System. Need to configure your kiosk or create a check-in experience for your visitors that’s uniquely yours? How about managing your users and your integrations with external systems? It’s all there in the settings. It’s so important that we felt the need to make it more powerful and easier to use. How? 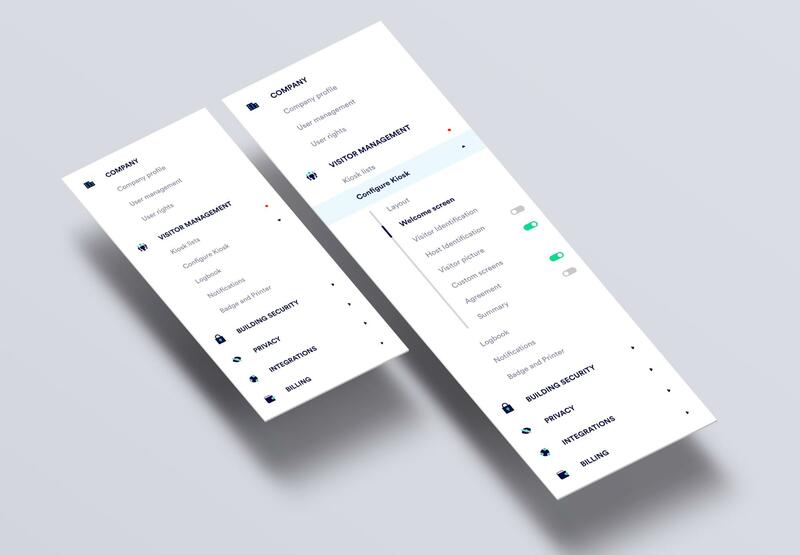 That’s what we’ll cover in this article with 4 topics: the new menu, the redesigned settings pages, the better user management and the next steps. First, we made the settings easier to navigate. New menu collapse on the left, expended on the right. The new menu is shorter than it was before. But don’t worry, nothing has been removed. We just grouped things that made sense together and streamlined the design so you only see what you need, when you need it. Company is where you can edit your company name, address and phone number. Users’ rights is still there to customize the rights of each user group. Kiosk List 🆕 isn’t really new but it has a new place in the menu. You’ll find all the kiosks you’ve configured and can add a new one anytime if you have a busy reception. Configure Kiosk is where you will find everything to make the Proxyclick iPad app yours: from layout and branding, to custom screens and NDAs. The iPad app is highly configurable. Here, you can go through all the screens and create a Visitor Experience that’s unique to you. Logbook 🆕 is a new menu entry. From there, you’ll be able to customize default settings for your logbook and manage your custom fields (columns in your logbook). Notifications didn’t move, and you’ll still find everything to do with notifications in there. Badge and Printer 🆕 have been grouped into one settings page. It’s now easier to see your badge and configure your printer. Building Security 🆕 will be the home for all our building safety and security features, like the emergency list and the watch-list. 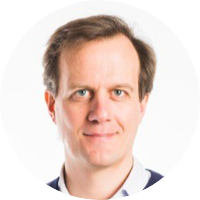 Privacy is everything related to the privacy of your visitors, as well as your employees. Integrations 🆕 is the hub between Proxyclick and your external tools. This is where you will be able to configure Dropbox, Box, Egnyte, OneDrive, Slack, Skype for Business and much more. Browse our Marketplace (currently in beta) to find all available integrations. Billing is where you’ll go to have a list of your latest invoices, to edit your billing details or to view your current plan. Do not hesitate to contact us if you are not finding your favorite Settings. We will help send you straight to them. 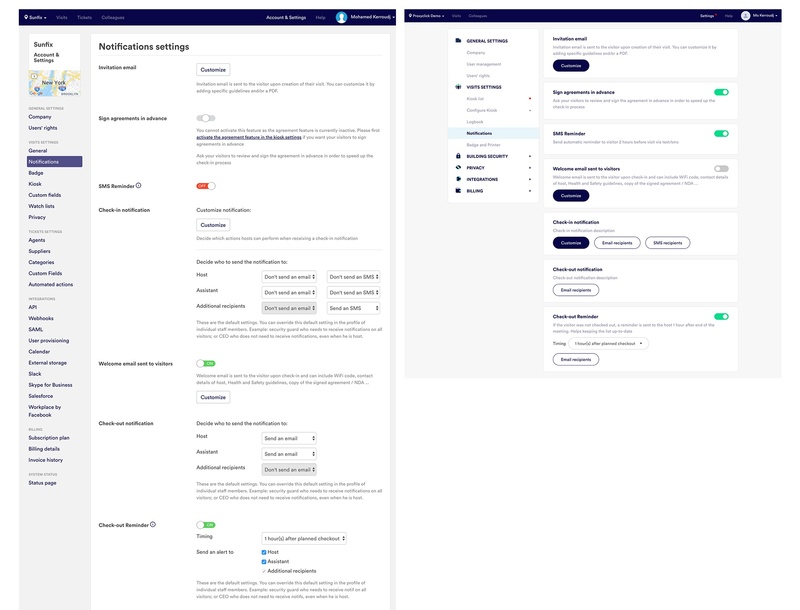 We also reworked a lot of the settings pages to make them clearer. To achieve this, we worked on the design of the pages so that they’re easier to use. We also reworked the content hierarchy to make sure that the things that matter stand out. Finally, we reviewed the copy to have shorter texts and calls-to-action. Sometimes a picture is worth a thousand words, right? A perfect example of this redesign is our Notifications page. Old Notifications page on the left, new Notifications page on the right. 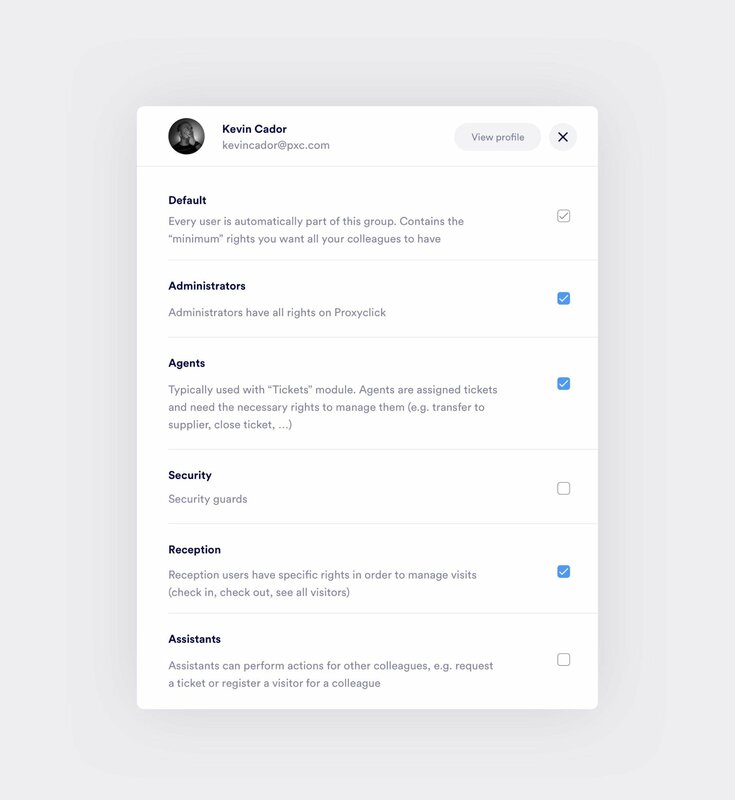 In the previous interface, an admin had to go to every individual user profile in order to manage it . That was OK if you needed to reset a password or send an invite to 1 user, but it became problematic if you had to perform the same operation for, say, 20 users. 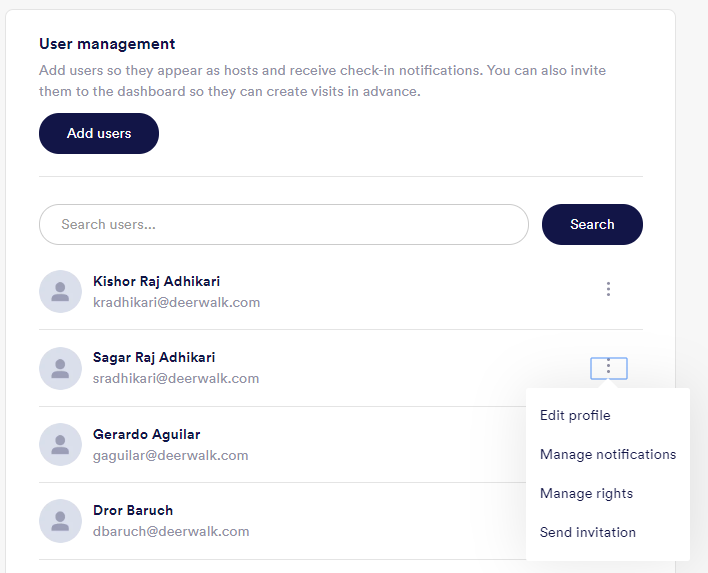 This is why you’ll now find a users list with shortcuts to perform the most frequent actions: send invite, reset password, manage notifications. Now, sending 20 invitations will take you 30 seconds,and not 5 minutes. Managing the rights of an individual user used to be a long and frustrating process. As of today, instead of needing to go through every group of rights, you can directly view all the rights a user has in one single modal. This is the first step of a bigger master plan. Our goal? Tweaking each settings page to make them powerful and easy to use. We made some room in some sections to be able to pack them full of our upcoming features. Do not hesitate to contact us if you have any question or feedback regarding our new settings.